Kubrick (キューブリック Kyūburikku?) 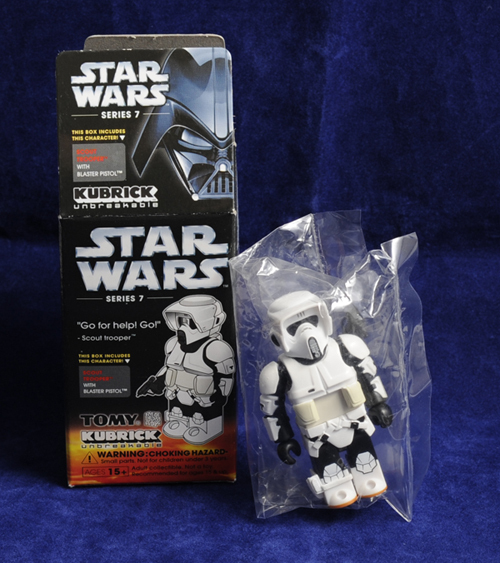 is a line of collectible block-style figures and associated products created by Japanese toy company MediCom Toy Inc. The basic Kubrick figure design has a body that resembles an extremely simplified human form, somewhat similar in appearance to Playmobil or Lego figures. 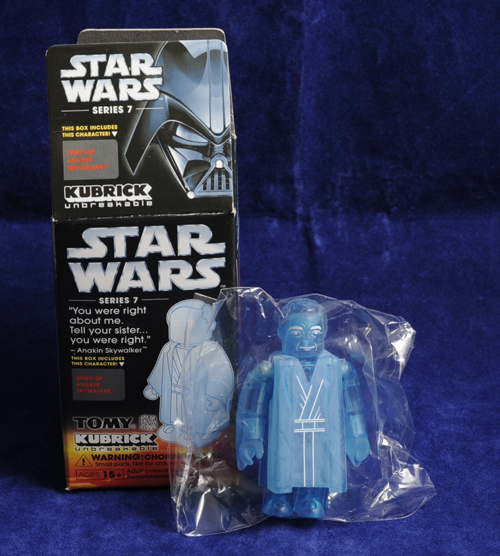 Produced in limited numbers and not re-released, Kubricks are highly sought-after by collectors. 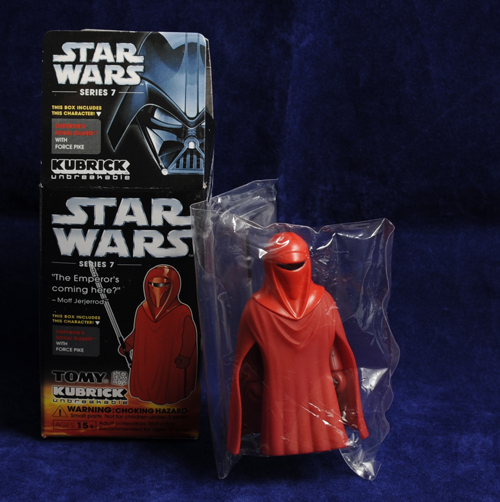 Mint figure in original factory sealed poly bag with box. Mint figure in original factory sealed poly bag with accessories and box.